Our scientists in the making will enjoy a 45 - 60 minute interactive physical and chemical reactions based show with bubbling potions. The birthday celebrant will be our main assistant. After the show, every participating child (4 - 12 years old) will make something to take home. 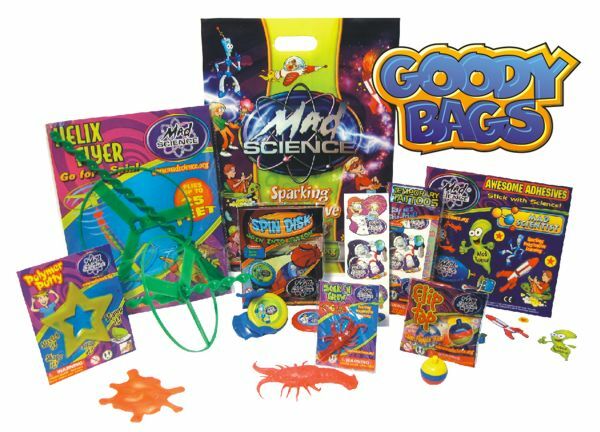 You may choose from slime, color-changing key chains, or bouncy balls. Making the bouncy balls require a bit more assistance depending on the age of the child. 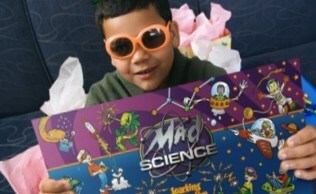 A Mad Science lab coat and goody bag will be provided for the birthday celebrant to keep. 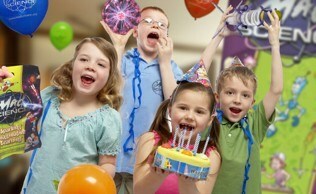 Cost for the party is based on the number of children. 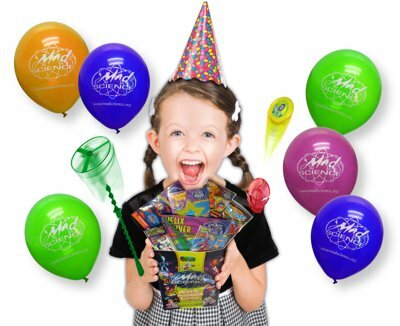 We recommend planning for the greatest number of children you expect to ensure that we have plenty of supplies. A minimum of $20.00 travel fee will apply to all bookings and is not included in this cost. Additional travel, evening, or holiday fees may apply. Prices do not include gratuity for the Mad Scientist. 15-20% is considered standard. Rocket Launch: 2 Rocket Launches + 1 New Rocket to build and keep. Subject to cancellation due to unsafe launching conditions such as weather or proximity to power lines or trees. Air Vortex Cannon Plus: Learn about the properties of air and see how we can manipulate the air around us. Will need access to a power outlet. *** For Special Discounts, please contact our office to inquire. *** Upgrades will generally add about 15 - 30 minutes to the length of the show depending on the participation of the children and number of children present. Please call the Mad Science Office for further inquiries (714) 482 - 0121.